Qigong’s gifts have been known for thousands of years, accepted by Eastern thought and rejected by Western science. Until today. We live in exciting times. A cosmic, told-you-so sense of humor is emerging. Western science looks to the East to overcome its limitations in understanding the invisible, and Eastern doctrine turns to the West to validate its concepts on an empirical level. The achievement of this peculiar yet poignant mutuality is perhaps the greatest of all. Without it, our world remains unbalanced. While East and West are building better bridges of communication, cooperation, and integration, people struggle to translate obscure concepts and mind-boggling discoveries into something useful for them. Language fails us. A different, invaluable way of knowing and being seems beyond reach. 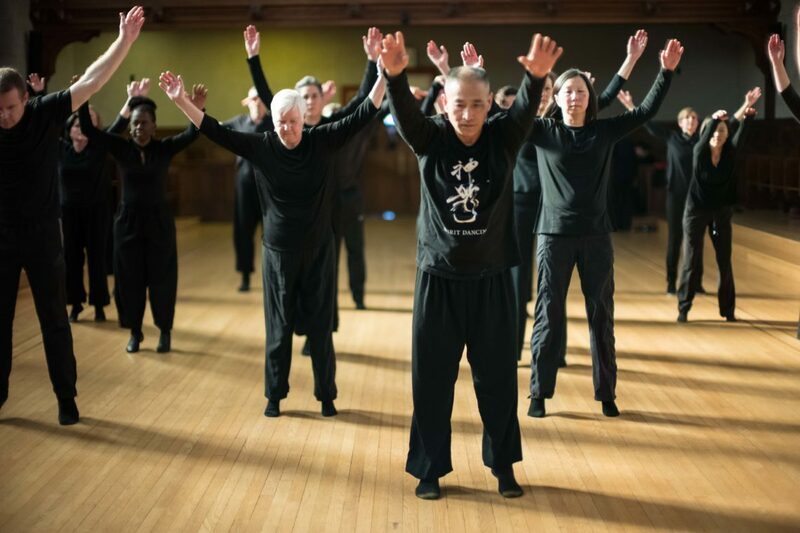 Based on ancient principles of traditional Chinese medicine (TCM), Qigong uses movements and other tools to enable our body, mind, and spirit to connect and communicate. Qigong is not just a practice, it functions like a telegraph system—transmitting and receiving code. This code is Qi, an energy, power, or life force with the ability to carry and convey information, intelligence, and messages. Cellular communication orchestrates responses to stimuli at the molecular level. Biological research shows Qigong and other practices may improve health by reversing stress-induced changes within the cell that are linked to poor health and depression. A cell monitors itself and its environment, receiving and analyzing information then deciding how to respond. Stress conveys information to the body through the nervous system, triggering reactions. TCM identifies 12 major meridians, or energy channels, connecting with each other and the body’s physical structure. Through this network, Qi reaches all parts of the body and allows them to send messages to each other, describing their condition and needs. The meridian system helps control organ function, deliver Qi and messages everywhere, and keep the whole body in a state of balance. Through exercises done regularly and correctly, Qigong keeps the meridians open, unblocked, and in a healthy condition. Physical conditions reveal emotional imbalances and energy stagnation occurring at deeper levels of consciousness. While physicists deduced quantum theory to penetrate our reality to the subatomic level and find interrelated energy patterns, ancient energy masters comprehended Five-Element theory to penetrate the vast relationships of the energy field. They assembled all of nature’s five elements—wood, fire, earth, metal, and water each with its own energy frequency—into a single framework of interrelated energy systems. Human beings, as part of nature’s web, also fit into this energetic framework. Emotions, thoughts, and feelings each have an electromagnetic frequency flowing through us. Those that are negative prompt the mind and body to react in self-harming ways. “I’m not good enough.” Fear. Those that are positive inspire the body, mind, and spirit to react in self-healing ways. “I am capable and able.” Love. Qigong combines two concepts: Qi or life force and gong, a skill achieved through steady practice. Physically it benefits your body. Mentally it quiets your mind. And spiritually, it connects you to consciousness. Each aspect of your being—body, mind, and spirit—is inseparable from the other and must cooperate fully for optimal health. But without a connection to consciousness, Qigong is limited. You might treat a condition and feel better, but without understanding the core emotions behind the root cause, ultimate health is unreachable. If you always associate with illness and disease, your life becomes about illness and disease. Qigong offers you an opportunity to understand oneness and the influence of external and internal interrelationships in your life and with nature. It offers the opportunity to connect to universal consciousness. Qi is the infinite part of the human body that is always part of nature and the unconditional love of the universe. Chinese medicine not only treats physical conditions, but also asks us to go deeper to find what they represent, what they tell us. A different, invaluable way of knowing and being is within reach. No one can take away the root cause of your troubles. No one can feel your emotions for you. Sources: The information in part 2 draws on the published work of Nan Lu with Ellen Schaplowsky enabling East-West concepts to be more comprehensible in plain English. Lu, Nan, with Ellen Schaplowsky. 2015. Digesting the Universe: A Revolutionary Framework for Healthy Metabolism Function. New York: Tao of Healing Publishing. Lu, Nan, with Ellen Schaplowsky. 2000. Traditional Chinese Medicine: A Natural Guide to Weight Loss that Lasts. New York: HarperCollins Publishing.